Before the Tivoli Theatre was built, the site it stood on what was home to a business consisting of a timber yard and stables in the mid 19th Century. In the 1860's the Australian and New York Letting and Livery Stables replaced the older business and interestingly the business also included a hall on the upper level. 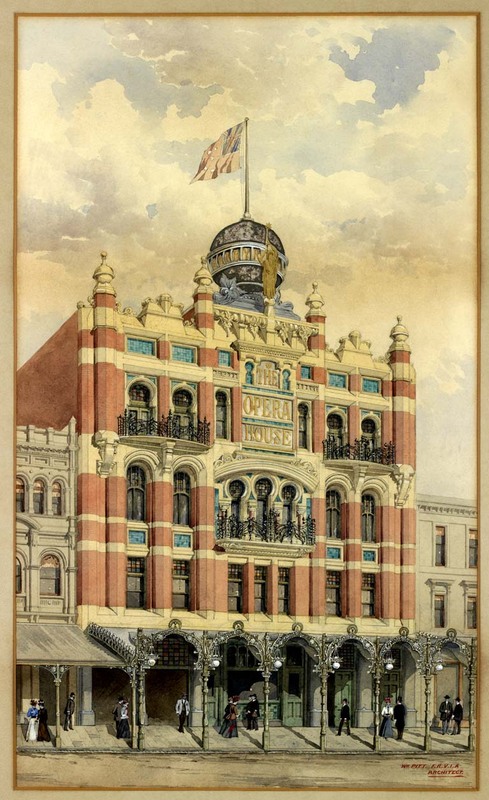 During 1866 the hall was known as The Varieties and then later as the Opera Comique; the first Australian performance of the Can Can was staged in The Varieties hall. In 1872 it became The Prince of Wales Opera House (or just The Opera House) and a syndicate calling themselves the Opera House Company presented a wide variety of popular entertainment, including the first Melbourne performance of The Pirates of Penzance and HMS Pinafore. Some years later in 1894, the walls of the building were leaning and The Opera House was described as the most dangerous theatre in Melbourne. The building which housed a capacity audience of 2127 people, was deemed a fire risk and a health hazard. A year later an English singer and comedian named Harry Rickards took a three-year lease on the risky theatre. On the 22nd of August 1896, the magician Carl Hertz projected the first motion pictures to be seen by the Australian public. In 1897, the city council objected to the theatre still being used. Harry, who still had 3 years left on his lease, asked for a delay in the closure and finally during 1899, a month after the lease expired, the city council closed the theatre. The optimistic Harry Rickards then negotiated a new 50-year lease with the owners that included the condition that the old theatre be demolished and replaced with a new one. 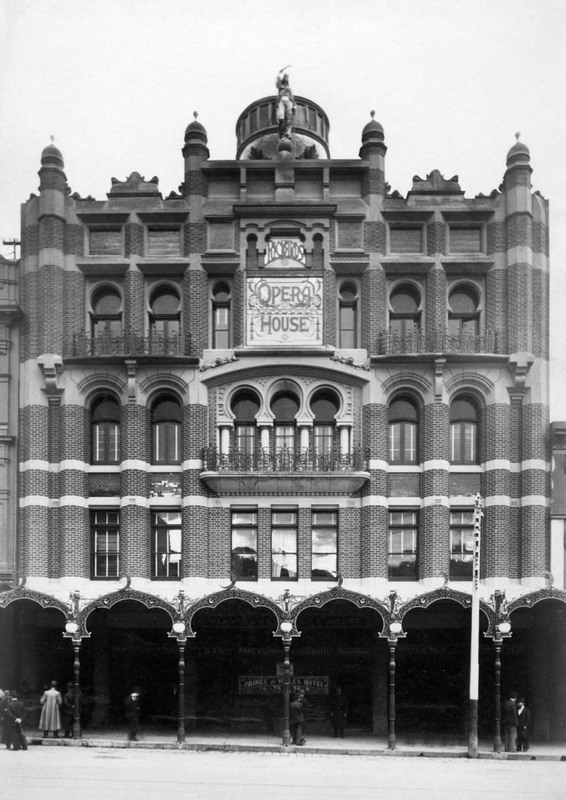 The New Opera House was completed on the 18th of May 1901 and was designed in a Moorish style by William Pitt who had also designed the Princess Theatre on Spring Street. It was made of red brick with marble columns and embellished with coloured tiles and ornate cast-iron work with the roof featuring a huge illuminated globe. Inside two highly decorated corridors led from the street to the main foyer, which included a rockery with palms, ferns and a water feature while a marble stairways swept you up to the dress circle. A three level auditorium, with its décor dominated by red and gold colours throughout, had a capacity of 1539, and the three tiers of seating created an intimate relationship between the performer(s) and the audience. 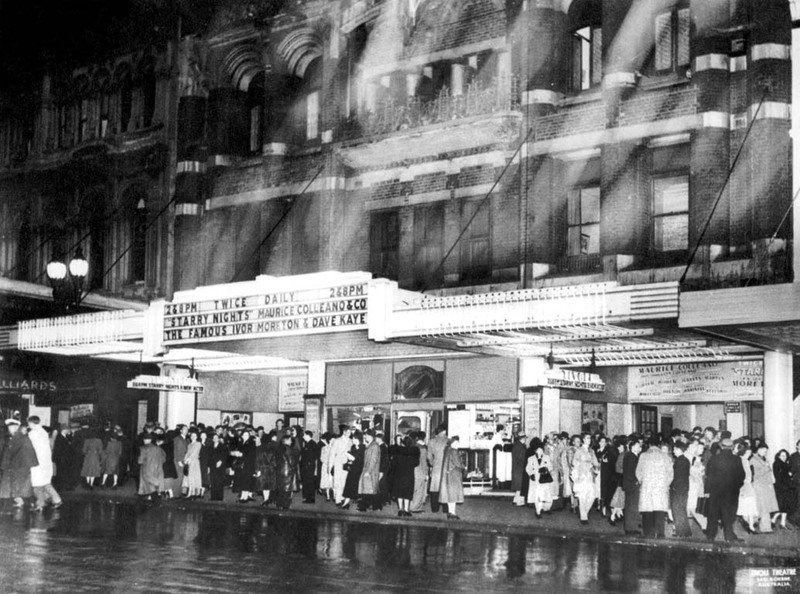 The Tivoli Theatre underwent renovations over the years and was rebuilt significantly in 1956. In 1912, the New Opera House was renamed the Tivoli Theatre by Harry Rickards’ successor, Hugh D. McIntosh. 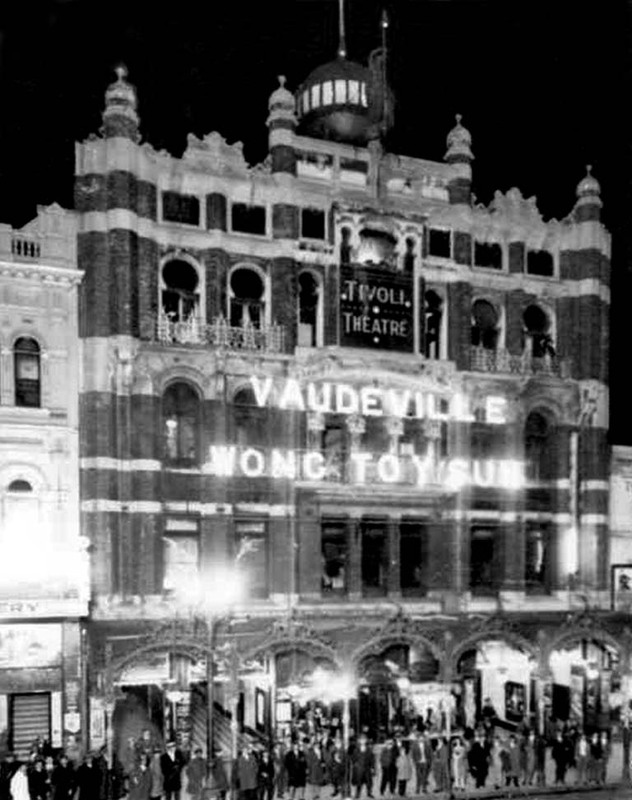 The Tivoli was the home of Melbourne vaudeville for 65 years until it closed on the 2nd of April 1966. During its 65 years as a theatre it hosted stars like the escapologist Houdini, comedian W.C. Fields, illusionist Chung Ling Soo, entertainer George Formby, actor and singer Tommy Steele, singer Shirley Bassey and comedian Chico Marx amongst many others. 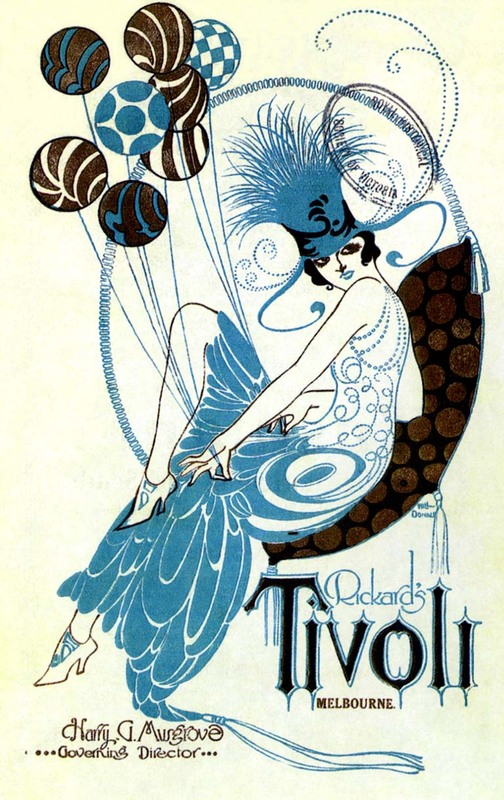 Lavish revues were introduced in the 1930's and became the Tivoli's standard fare, with pantomimes at Christmas and in the later years, the occasional musical. 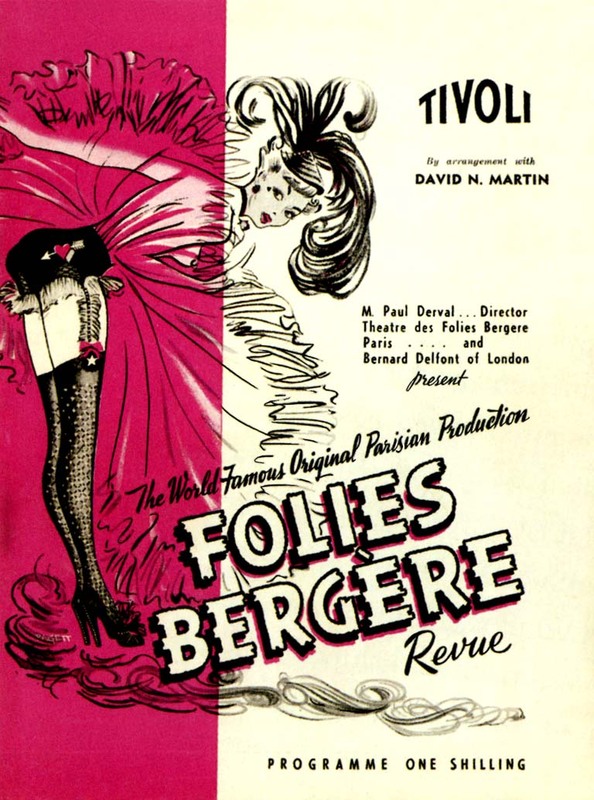 In the early 1950s the Folies Bergere Revue encouraged controversy about the amount of bare flesh on show for publicity. 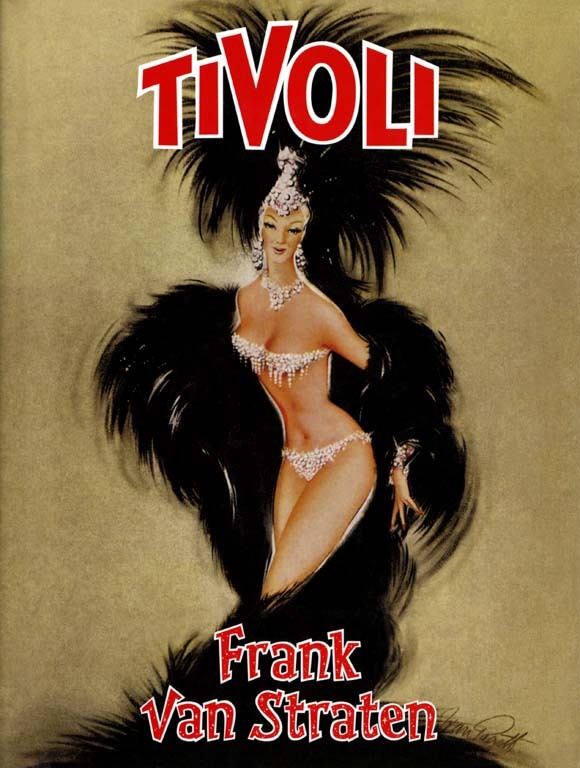 In truth, what was on show was only a little more than a typical Tivoli show, but the audience ‘bought it’ and the revue ran for nearly fifteen consecutive months. English actor and comedian Jimmy Edwards starred in the final live show in 1966. 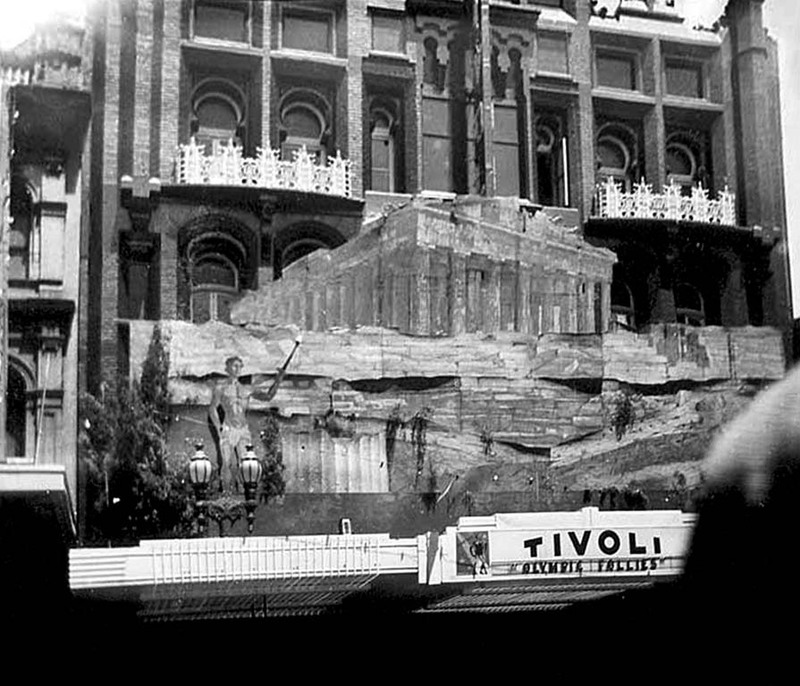 A month after the closure of the theatre, the Tivoli Cinema opened, although round midnight on the 4th of April 1967, a fierce fire badly damaged the Tivoli. 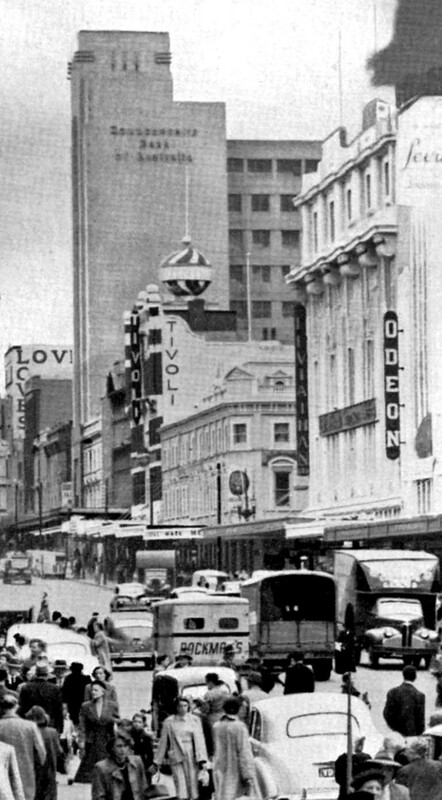 What was left of the theatre/cinema was demolished and a new office building with the aptly named Tivoli Arcade on the ground level was built on the site, which is now home to the RMIT University's Business School. The New Opera House (Tivoli Theatre) shortly after its opening in 1901. Original raw photograph from The State Library of Victoria, restored by me. 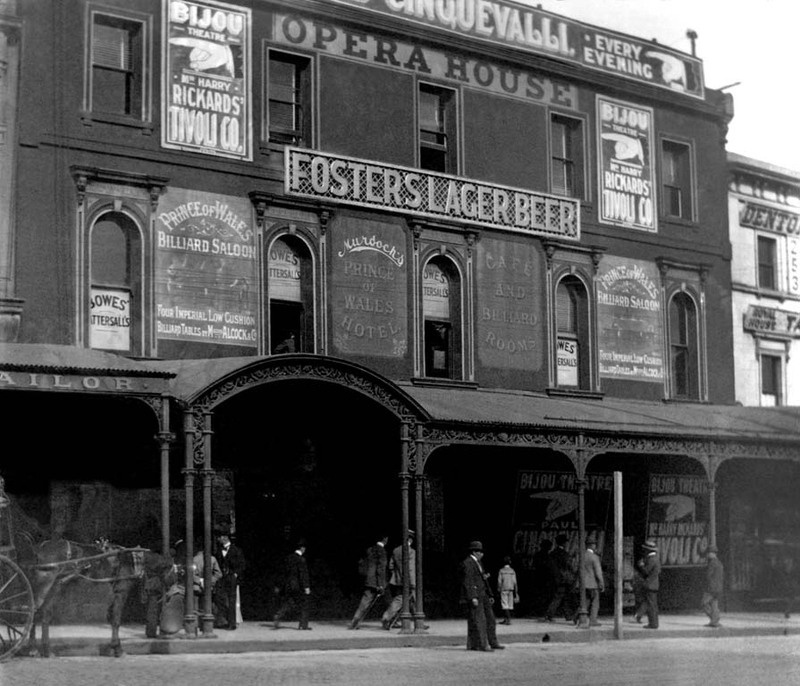 The first Opera House that stood on the future site of the Tivoli Theatre ~ 1875. Opera House programme from 1895. William Pitt’s design for the future Tivoli Theatre. 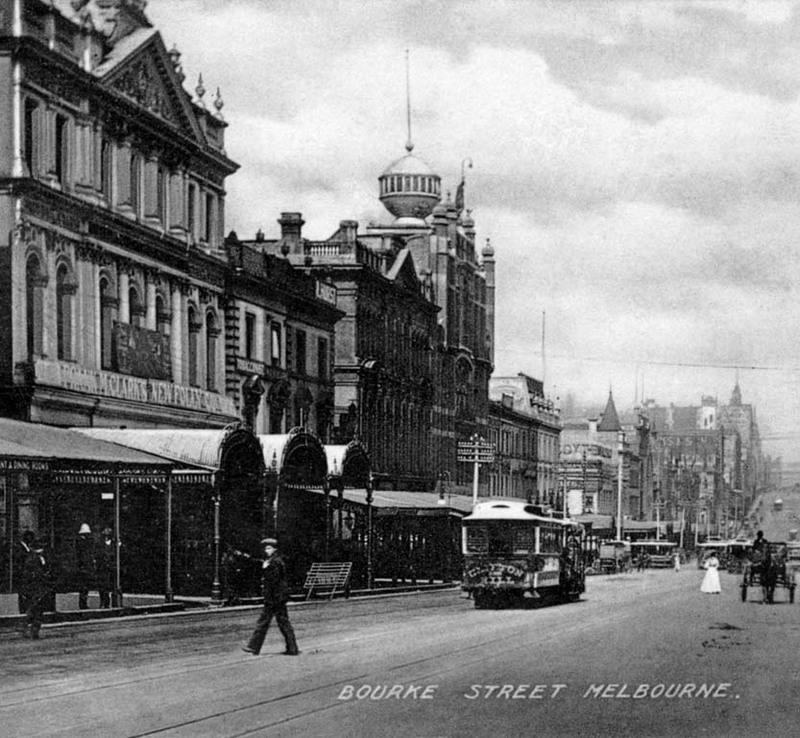 Bourke Street postcard from the 1900s. Tivoli Theatre in the 1930s. Rainy night in 1949 featuring a new cantilevered awning. Tivoli Theatre in the 1950s. 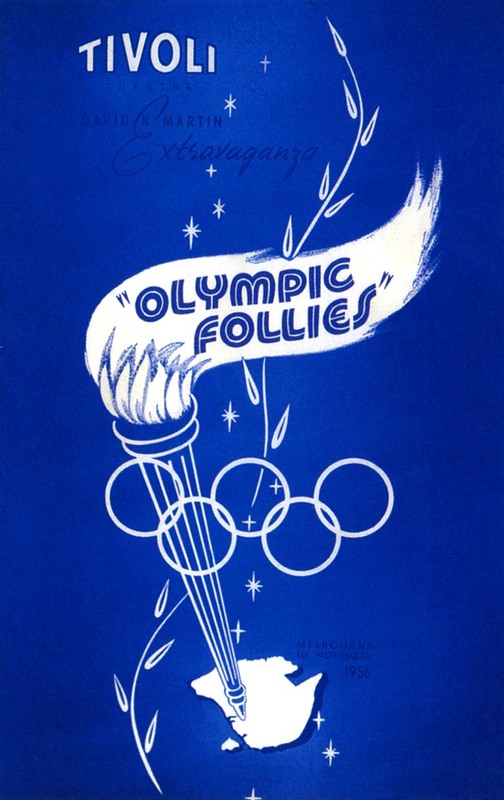 Poster promoting the Olympic Follies. 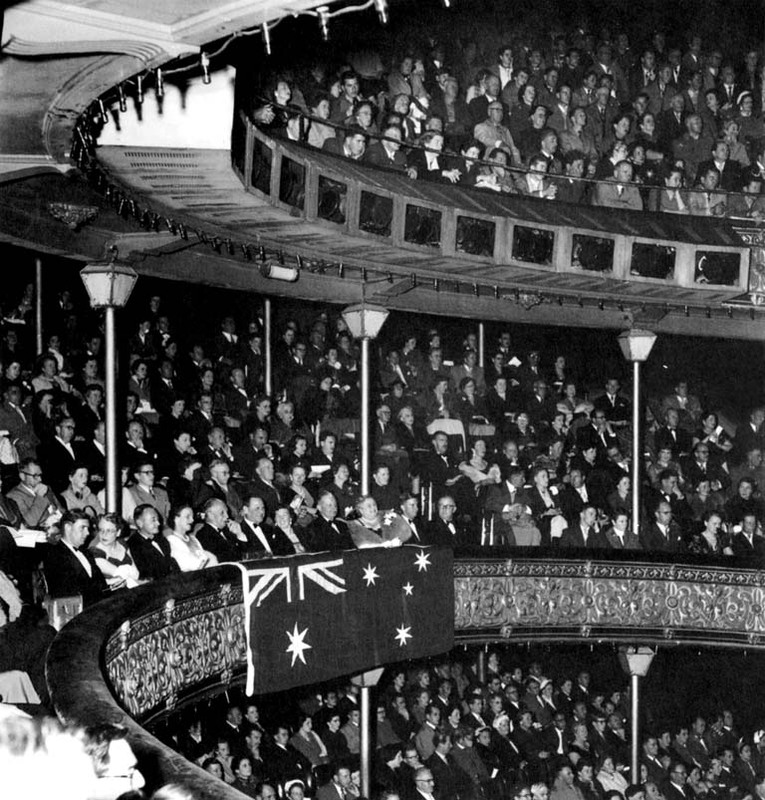 Tivoli Theatre during the 1956 Melbourne Olympic Games. A scantily clad showgirl from the Folies Bergere Revue. Tivoli Theatre audience in 1955. The definitive book about the Tivoli Theatres throughout Australia. Published by Lothian Books. HI Peter, great article, always good to have the info out there. I would just like to say though that if you are writing a piece like this that you name your sources, maybe just for my sake because I like to know where the facts can be found ! I presume much of the article is drawn from the Frank van Straten Book ? And I would love to know where the photos come from ! I know the big early ones come from the State Library of Victoria, but the one of the interior in the 1950s ? Is that scanned from the book ? Would love to know. Guess I should buy the book ! Hi Rohan, thanks for your kind comments. Yes, I used Van Straten's book as the major source of information, as well as the eMelbourne and the Only Melbourne websites. The interior shot was scanned from Straten's book. Guess you'll just have to purchase Frank Van Straten's book.